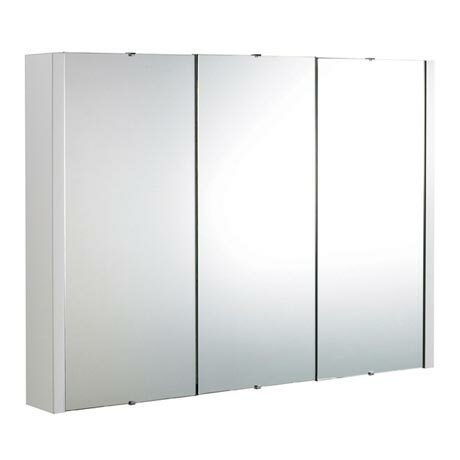 A minimalist gloss white 3 door mirrored wall cabinet with 2 shelves from Premier. Ideal for any modern bathroom. It is particularly suited to our range of vanity units in white gloss. Plenty of storage space for toiletries to keep your basin and bathroom clean and tidy.